jkirbyproductions | Film. Theatre. Art. 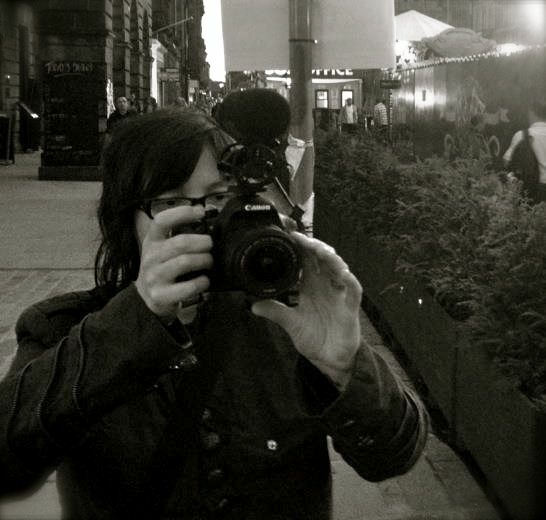 Jessie Kirby is an award-winning writer and director from Ireland. She has been working in both theatre and film since 1992, and her films have played at festivals around the world, including Ireland, the United Kingdom, Switzerland, Australia, Germany, Belgium, Korea and France. During a four-year writer’s residency at the Boomerang Theatre Company in Cork, Jessie’s original plays were staged in Ireland, Germany, Belgium and Italy. In 2004, Jessie received her MA in Film Editing from Bournemouth University. She has also been involved in multimedia projects including public installations and video art; and was also a freelance journalist in Cork. In 2013, Jessie toured theatre play, BRB, co-written with Australian writer, Kirsten Stoddart, which premiered at the 10th International Dublin Gay Theatre Festival, and was Art Director on Project Z, a community drama-based initiative for LGBTQ youth in the Dungarvan area to devise and present a performing arts showcase. In 2014, Jessie is in development on new feature film projects.